(SCOTTSDALE, Ariz.) – An Arizona classic debuts at the 5th Annual Bentley Scottsdale Polo Championships on Saturday, October 24th at the WestWorld of Scottsdale. The world famous Phoenician Resort will be offering its Afternoon Tea field-side with tent seating for all three of the day’s exciting polo matches. Consistently voted “Best Afternoon Tea” by publications all across Arizona, the award-winning culinary offering will feature a wide assortment of teas, signature finger sandwiches, scones with Devonshire cream and fruit preserves, and petit fours, all of which will be served on the resort’s Wedgwood china. The Phoenician’s much-acclaimed tea hostesses will be serving Afternoon Tea to attendees and providing them with a luxurious way to enjoy polo. Tickets for the celebrated Afternoon Tea are $125; reserved front-row tables for two are $400; second-row tables for four guests are $700; and third-row tables for 10 guests are $1,500. All tickets will include general parking. Patrons seeking to take advantage of this unique offer must act fast as tent seating is limited. Polo and Afternoon Tea all take place within the shadow of the McDowell Mountains and are a perfect combination. Both of these activities conjure images of elegance, sophistication, and luxury. In addition to the Phoenician’s Afternoon Tea, the Bentley Scottsdale Polo Championships will offer attendees a variety of other elegant activities. Throughout the day, attendees can enjoy music by the Phoenix Symphony. Additionally, fans can watch a Canine Couture Fashion Show, where Arizona’s most stylish dogs will showcase their most stylish and modern clothes in a one-of-a-kind dog show. If you didn’t think the day could get any classier and elegant, think again! Scottsdale’s impressive Larsen Art Gallery, a national leader in the secondary art market for the last 20 years, will host the LIVE 2015 Larsen Art Auction inside The Picasso Pavilion from 10:00 AM until 3:00 PM. Art lovers and polo enthusiasts will even have the opportunity to bid on contemporary and fine art, including lithographs and paintings from Pablo Picasso himself. 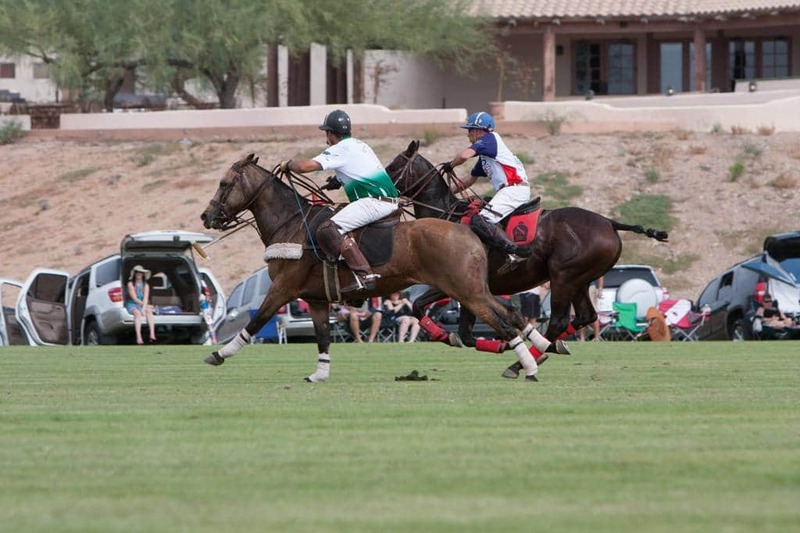 The Bentley Scottsdale Polo Championships are already known as “the world’s most interesting polo event,” and are quickly becoming Arizona’s most luxurious event. To learn more about the Phoenician’s Afternoon Tea, or for other media inquiries, please contact Jennifer Parks at 480.495.3806 or by email at JParks@RoseMoserAllynPR.com.